The ECS Spring Sweepstakes is ends SOON! Spin to Win 10k Grand Prize! Special/Group Buy Classifieds Member organized Group Buys and Special Order items. It's the final count down! Click HERE for Free Entries into the Sweepstakes via SpIn To WiN! Your favorite game Spin To WIN is back! Valeo Clutch Kits are ON SALE! Quick Reply: The ECS Spring Sweepstakes is ends SOON! 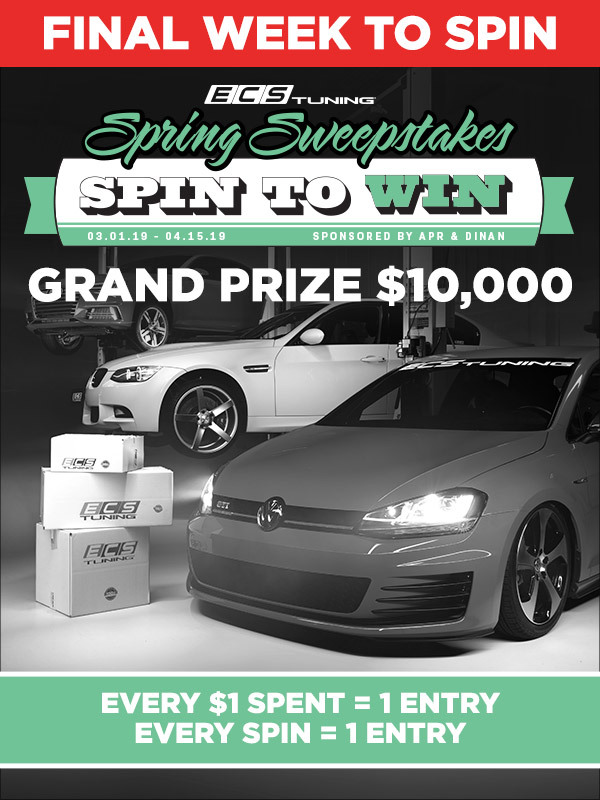 Spin to Win 10k Grand Prize!